Prior to coming to the National Collaborative for Health Equity, Theresa Lewallen held a variety of leadership positions at the Association for Supervision and Curriculum Development (ACSD), where she played an instrumental role in the development of ASCD’s whole child efforts. At ASCD, she directed a project funded by The Robert Wood Johnson Foundation that linked schools with local public health agencies. The outcome of that work was published in Education and Public Health: Natural Partners in Learning for Life. Ms. Lewallen also served as the director of ASCD’s Healthy School Communities, engaging schools and communities in collaborative school improvement work. She oversaw the research, development, and production of processes and tools to improve education and health outcomes for children and youth. Ms. Lewallen has authored or coauthored policy papers and journal articles, presented at national and international conferences. 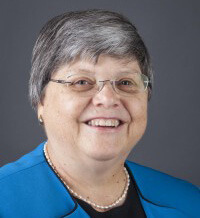 Theresa participated on national and international committees with a focus on improving outcomes for students through research, policy, and practice and served as co-chair for the National Coordinating Committee on School Health and Safety. She has provided advice to state, provincial, and national governments, making the case for using evidence to inform policy development and implementation. Ms. Lewallen has a Master of Arts degree in community health promotion and education from Trinity Washington University in Washington, DC, and is a certified health education specialist (CHES). Her previous experience includes providing technical support to the Office of the Secretary of U.S. Department of Health and Human Services on women’s health. She also served the city of Alexandria, Va., for seven years as a community health educator, developing and presenting programs in the schools and around the community.